Teaching fine arts to young kids is a fun way to get them interested in a variety of activities and expand their interests. 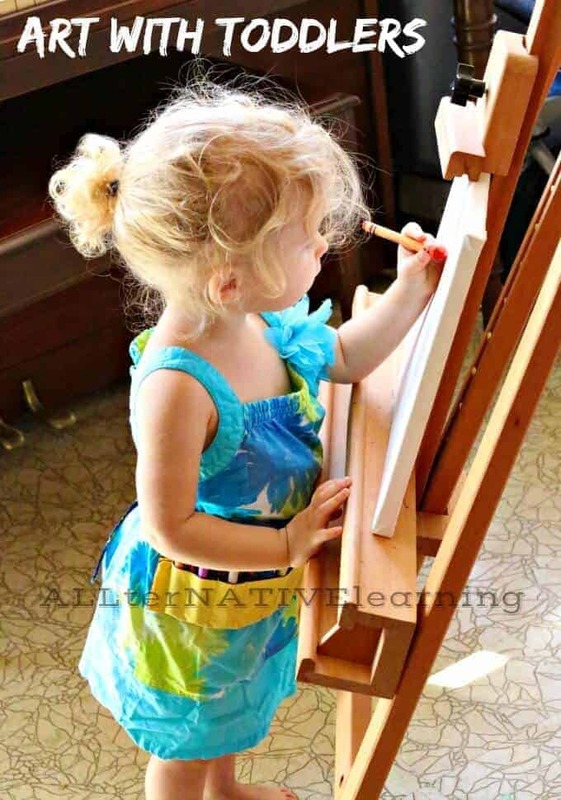 In fact, that is one of the main reasons that we personally love learning by theme because it exposes my toddler to the vast world that we live in and expands her appreciation for many aspects of life and activities that she can learn to love even more. 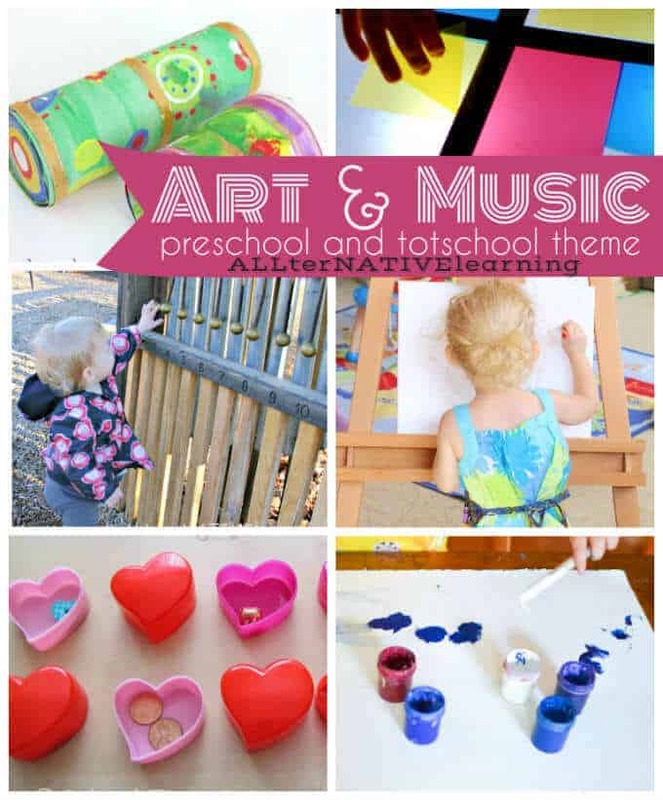 Fine arts for preschoolers and toddlers means that they diving into imaginative and intellectual concepts even as young children! Oh what fun learning about the fine arts can be. There are a ton of fun ways to get out and about in the community, explore sounds, and get hands on with art! 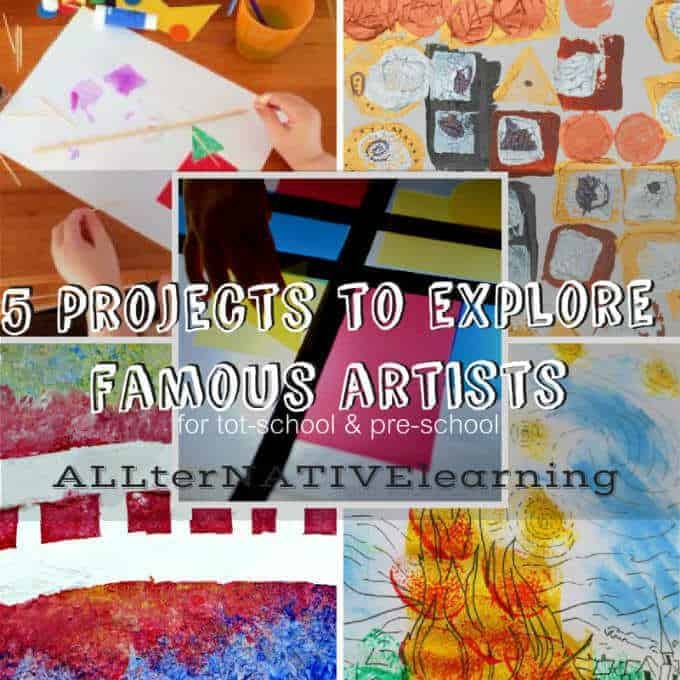 Here are some great resources you might consider purchasing or looking into to enhance your fine arts learning week. Tickets to a local play, philharmonic concert, ballet, or something similar. Some of our favorite books to supplement this theme are listed below. Click on the pictures to be taken to the book. Our top two for the week were Zin! Zin! Zin! because it combined music, sound, and counting and then Pop Warhol’s Top because it was a fun way to explore famous art and artists with a flare for exploring the senses. Some words to consider implementing this week are as follows: sound, music, loud, quiet, noisy, whisper, sing, concert, instrument, orchestra, band, art, paint, canvas, colors, etc. Explore Famous Artists and their Paintings. Paint “Big”. Get out those painting materials that are big and a big sheet of paper and see what you can make with it. Such a fun idea from Adventure in a Box. Paint with Creative Objects. We have loved this fun project we did awhile back to paint with a caster and make pendulum art! Paint and Explore the Process of Art. We have an easel that is always a special occasion for my daughter to use. (You can also get pretty cheap ones and play ones, but this one we already had and it makes it more of a special activity to get to use it). I set it up and give her a canvas and any medium (whether crayons, paint, markers, pastels, or whatever and just let her enjoy the process of creating and exploring art as her heart desires. Paint Your Faces! Left Brain Craft Brain even has an awesome homemade face paint recipe. Incorporate Music 7 Days a Week. 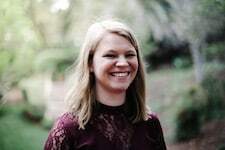 This post is all about how we have incorporated music for development since my daughter was a baby and 7 ideas to do it so that it’s a daily activity. See how Art & Music go together. Sun hats and Wellie Boots has a creative activity that investigates how a piece of art might convey sound in correlation with the book I See A Song. Go on a Sound Hunt. This is such a great idea to find sounds both inside and outside and compare the different sounds that you can hear and make together! We very often ask “what’s that sound” when outside and discuss what we hear! Play a Sound Matching Game. School Time Snippets set up an activity to guess what’s inside of a container by shaking it! Make Rain Sticks. Danya Banya shows how to make some easy DIY rain sticks to explore sound. Create Outdoor Music Spaces. Adventures of Adam has a very simple music tree that they set up in their back yard, we are building an outdoor creative music center right now and have found a bunch of great materials that are in a rolling cart until it gets completed! Get up & Moving with Music. Learn with Play at Home has five ways to do this! Such a great post with so many ways to bring the arts into our kiddos’ world. Thanks for including our Face Paint and Kandinsky Process Art ideas!